Mixed reality is trending in the virtual world, what exactly the meaning of mixed reality is creating a video that looks like a virtual reality of user is being placed in the virtual world what they are seeing. Mixed reality is hybrid of Augmented and virtual reality, to experience and develop the Universal apps Microsoft specially designed Mixed reality headset for developers edition. The features of HP Mixed Reality Headset can be found here. Microsoft planning to bring Mixed Reality video experience to everyone by Launching a new Mixed Reality Headset. Microsoft arranged builders conference on 18 th May 2017, announced that Acer’s and HP’s mixed reality developers edition would go on pre-order from today onwards. It was the Microsoft’s first mixed reality Headset, and it was just like Virtual reality Headsets. Both the Microsoft kits are ready to preorder, Acer kit will cost $299, whereas HP’s kit will cost the little bit more than Acer $325 it seems. It seems like everyone can experience mixed reality headsets at low cost and coming versions of mixed reality Headsets are from HP, Acer, and Lenovo. All models look similar because Microsoft is designed with special features. The price difference between Acer and HP headset kits are, there is a small change in the design of HP has a knob on the back of the head strap for tightening adjustments whereas an opposed buckle on the Acer version. The hardware itself is comfortable to a Human head, it is not heavy to handle. It has internal tracking sensors which remove the need for external cameras. They run on Windows 10 PC’s with fairly low space, the actual Acer developers kit has a decent 1440 X 1440 high resolution of liquid crystal display that can minimize the “screen door effect” which hampers many VR experiences. The room sensor cameras in this headset give six-degree freedom which can help you to move front and back, not just like normal VR headsets give an option of Up, down, left and right. Key features of Developers kit allow 95degree horizontal field view, a display maximum refresh rate of 90HZ, a single cable with HMDI 2.0, USB 3.0 for connecting, built in audio out and 3.5mm jack for microphone support. Microsoft HP, Acer, Lenovo mixed reality headsets of consumer versions available for sale on this summer holiday season. And they won’t need any ultra high-end PCs and hardware like Ultra VR headsets. This is the best opportunity to experience the mixed reality headsets everyone with low cost. Microsoft introduced first new mixed reality headsets for developers of Mixed Reality Apps. 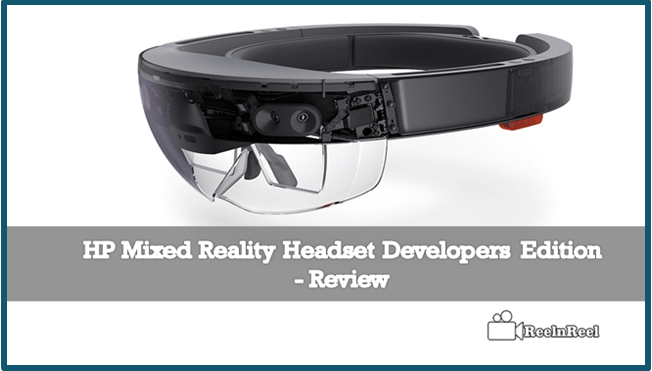 It is an Ultimate guide to know the key features of Microsoft HP mixed reality headsets.